This tour starts at the San Jose Rose Garden (1670 Emory Ave, San Jose). It is 13.4 miles and has 7 coops. 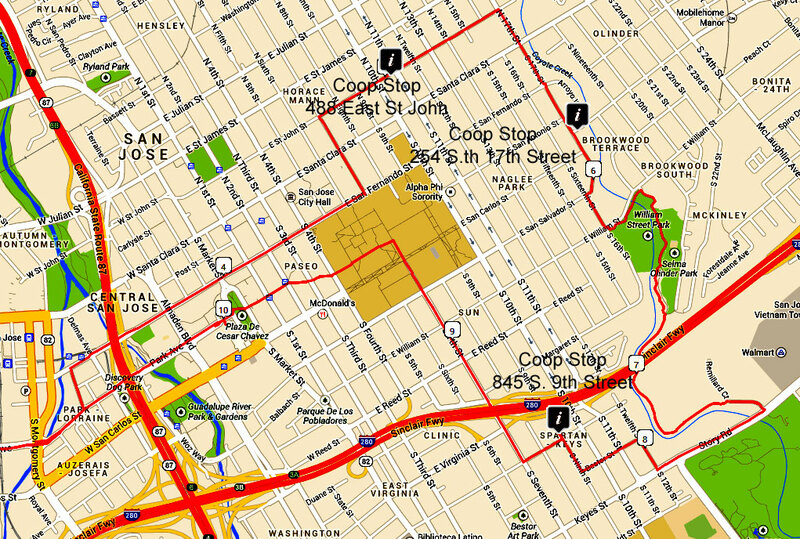 The route uses both residential streets and some downtown streets that are busier. We encourage people to start the tour anywhere along the route to so that parking is not concentrated in one spot. 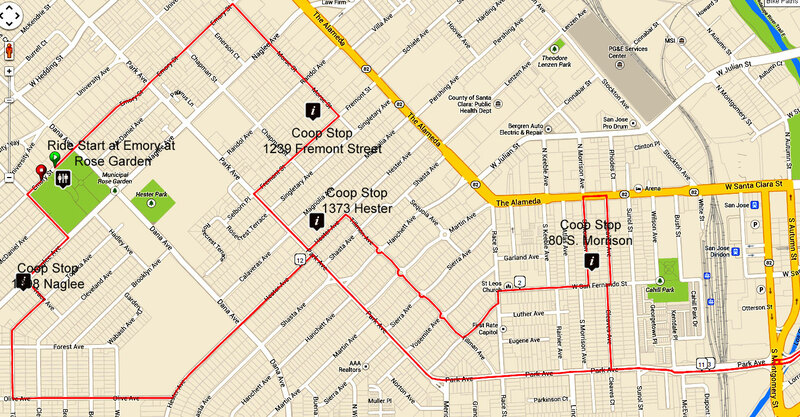 This route uses the Coyote Creek Trail and tries to use streets that have dedicated bike lanes. Printout the map by clicking on it and then printing each of the two maps as a full browser page. With a smart phone you can also view this image and zoom for better detail.